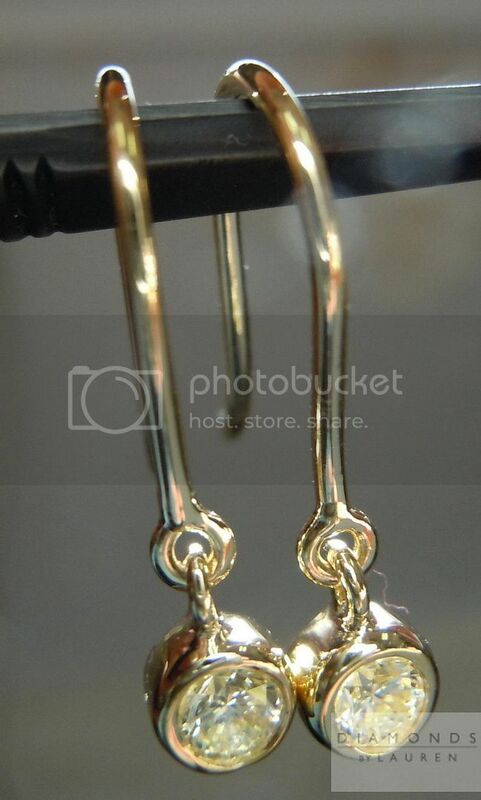 This is a lovely pair of diamond dangle earrings. The diamonds are beautifully cut round brilliant diamonds. They have a beautiful lemony color to them that now set looks very vibrant and beautiful. The stones have been bezel set to give you a classic look that is perfect for daily wear or a night out on the town. 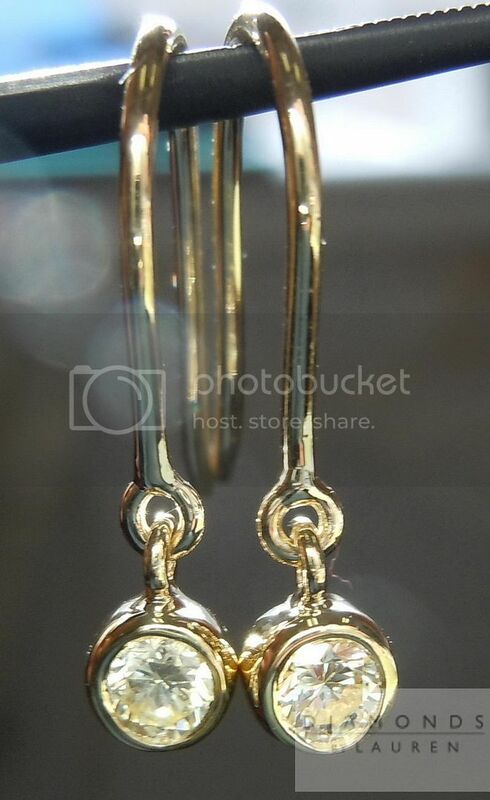 The diamonds dangle from luxurious 18Karat Yellow Gold wire and have a lovely movement to them while worn. 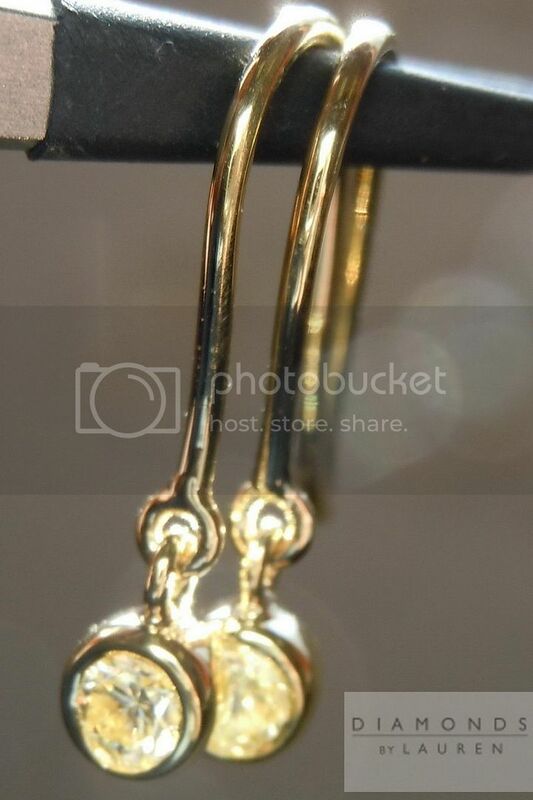 If you like the photos, you will love the earrings in person - we guarantee it!